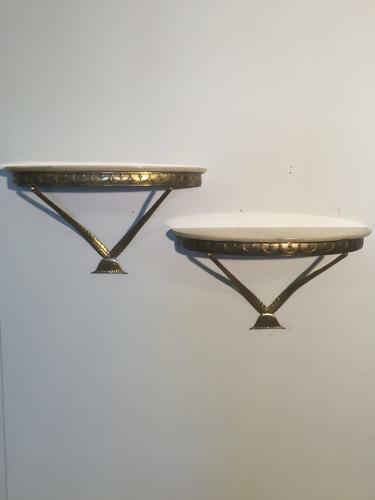 An elegant pair of gilt metal Italian consoles with swag detail and thick cream marble tops. c1950. Small enough to work either side as bedsides or for small spaces.